It’s a Blue Notes Jam Night this Thursday. Bring your instrument if you'd like to join in. If not, just come along and listen to some sweet, sweet music. 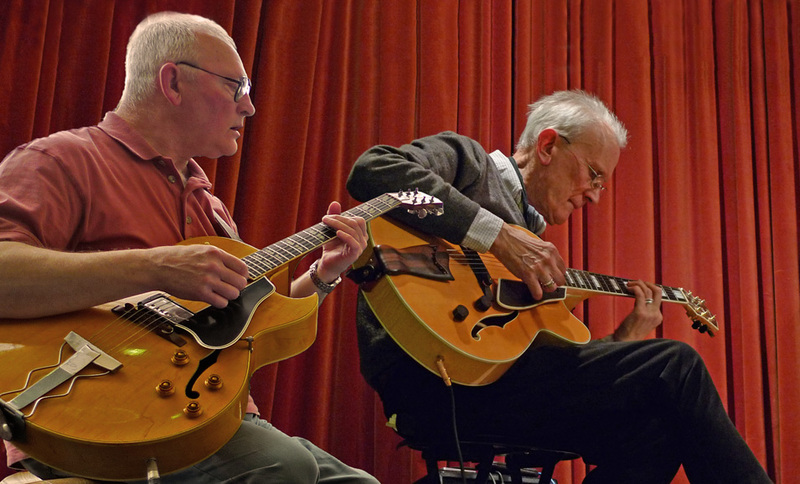 John Smith and Malcolm Gibbons are two of the very best Jazz guitarists in the West Midlands and have played with some of the best the region has to offer including our founder Andy Hamilton MBE and Silvershine favourites the Steve King Big Band. Here they combine to bring you their own special magic. We’ve just received the full line up and they've got Trevor Lines on double bass and Keith York (ex-Dr Phibes, Broadcast & Bently Rhythm Ace) on drums. All in all a truly wonderful line up! This gig is a must for all fans of Jazz Guitar!